Walt Disney World's Magic Kingdom in Orlando is the ultimate theme park and quite a hit with the kids,their parents and the grandparents too. It is 107 acres of pure fun and adventure.It is not possible to visit the entire Kingdom in one day and therefore there are Flexi Tickets which allow multiple entries over a number of days.If somebody gets tired ,they can head back to their hotel rooms,recharge the batteries and be back again,ready to enjoy the charm of the magic Kingdom. 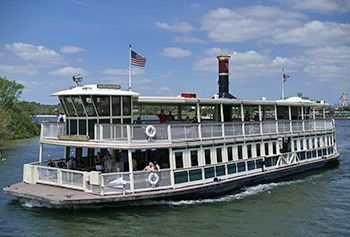 The best way to get to The Magic Kingdom ,after parking the car is to take the disney world ferry across the lake.There is a mono rail also, but the thrill of travelling in a 19th century style boat is more fun. There are 3 boats which can carry 600 guests and cover the mile long ride in about 5 minuteswith the pasengers wondering how did the Disney Seven Seas Lagoon construction take place. Inside the Magic Kingdom there are seven lands which represent different concepts of Walt Disney World. The original plan was to have only 5 but finally the number increased to 7. 1.Main Street U.S.A.-Takes you back to the Main Street of Nineteenth century American towns complete with Rail Road Stations, Barber Shop, Horse Drawn Trolleys running on rails, Town hall for meting and greeting etc along with the food outlets.Immediately after entering the Magic Kingdom you are on the main Street.At nightime there is a special Magic Kingdom Main Street Electrical Parade with radio controlled LED lighting effects and electronically synthesised musical sounds. 2. Fantasyland -This is the land of Walt Disney Characters , Mickey, Donald, Goofy etc., created and popularised initially through comics, then videos and I believe there are interactive games now. Cinderella castle which is just at the beginning of fantasyland is the most photographed place in magic Kingdom. 3.Tomorrow land-It is conceived on Walt Disney's imagination of the future based on science fiction writings in the 1920s and 30s.It depicts a future that never came. But the flashing strobe lights, shining glass and gleaming metal along with futuristic rides make tomorrow land enjoyable for the parents and grandparents of the kids busy in Fantasy land. The queue for the Space Mountain in tomorrow land is the longest.The ride took away our breath literally and it took 45 minutes to recover at the tomorrow land magic kingdom restaurant. The ride simulates a rocket blasting off into space and the acceleration, twists and turns, in full darkness with blinding strobe flashes was the ultimate in getting blasted.After that I have not sat on any ride again. 4.Liberty Square Magic Kingdom is reminiscent of colonial America. The buildings and get up transports you to the time when independence was being declared and there is an original replica of the original Liberty Bell. Yes, it is correct, and there is a long story behind it which can be enjoyed on wikipedia etc. The steamboat, Liberty Belle takes visitors on a tour of the seven rivers of America.The Haunted House is not to be missed and despite knowing that the whole thing is for fun, at some point the heart does skip a beat. The Hall of Presidents has robotic presidents of the USA. 5. 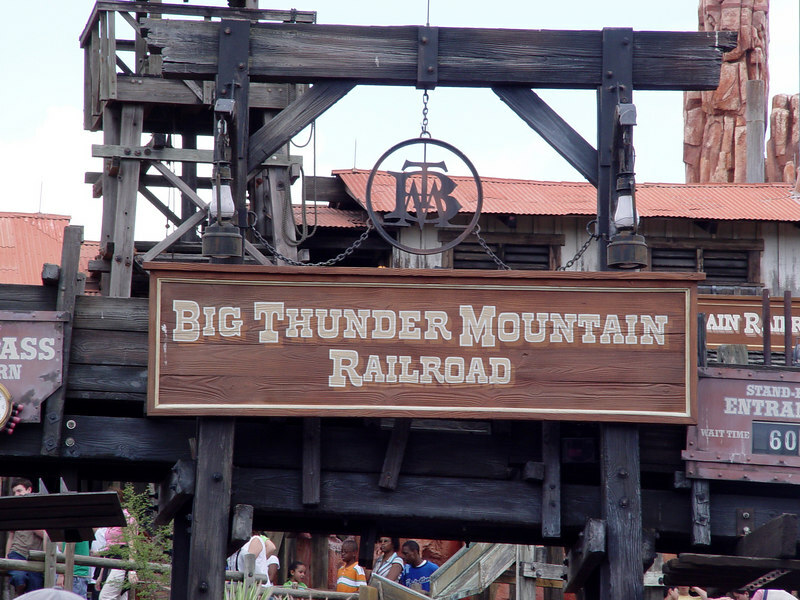 Magic Kingdom Adventure land represents the mystery of exploring foreign lands. It is themed to resemble the remote jungles in Africa, Asia, the Middle East, South America and the South Pacific, with an extension resembling a Caribbean town square. Adventure land contains classic rides such as Pirates of the Caribbean and Disney Jungle Cruise.At boarding point for the disney jungle cruise(called silly jungle cruise) there were cages having all kinds of African and Asian animals-some of them quite fierce. The best was a six inch by six inch cage containing a Tarantula Spider with red lighted eyes and moving legs.It did look quite sinister.The jungle cruise started in Africa and finished in Thailand . 6.Frontierland- Disneyworld frontierland transports visitors to the time of the American Wild West when Cowboys, Indians and Outlaws called the shots. The Frontierland Big Thunder Mountain Rairoad is a roller coaster inside an abandoned mine which appears to be crumbling and there are some special audio effects. Splash Mountain is another attraction where if you sit in the front you can have the pleasure of getting soaked. 7.Mickey Toon Town Fair is for very small kids and we did not have the time and strength(after spending 8 hours walking around the Magic Kingdom) to visit. Magic Kingdom is indeed an excellent experience. If somtimes the queues are long at any particular ride ,one can take a ticket which says what time to come,maybe 2 hours later,but you can legally jump the queue.It is a good arrangement ,otherwise you would spend the whole day waiting for just one ride. Among the best places to travel to in United States,,Magic Kingdom is among the top family holiday destinations and one of the most enjoyable tourist places in Orlando. When you visit India stay in our Homestay Reunite In Delhi. It can host upto 8 Guests comfortably.